Page Mine Web Design is an internet marketing company in Kamloops, BC. Websites have always been the core of internet marketing services. Over the last twenty years, we have developed websites for hundreds of new businesses. And we have helped them incorporate their websites into their marketing campaigns. Evolving internet technology has revolutionized the way businesses market their brands, services and products — and we have refined our approach to take advantage of the best techniques available today. When we started, most companies did not even have websites — and those who did were reluctant to spend money on Search Engine Optimization and Internet Advertising. Now, there are additional online marketing techniques — including free listings on Google and free and paid services on Social Media. Today, these are proven technologies — and companies currently spend more on internet marketing than they do on all other forms of advertising combined. We recommend that you focus the marketing services for your business on the internet. At one time, desktop computers were the only way to visit a website. Today 2 out of 3 people who visit websites are using a mobile device. If your pages display in more than 1 column on a cell phone it is not mobile-friendly — so visitors hate your pages and search engines penalize your pages in search results. If your website is not mobile-friendly, we recommend that you hire us to re-design it as a responsive website — which displays all of your content on all of your pages in a legible manner on any device. Originally, all websites were hand coded using HTML. Then people started experimenting with a host of different kinds of Content Management System (CMS). A CMS provides a backend that lets owners update the content themselves. The content for each page is stored in a database and when somebody requests that page, it is generated dynamically from the content in the database. It takes a very long time to generate a page dynamically — and search engines and people do not like to wait. CMS pages are listed after HTML pages in search results. And people tend to hit the Back button if page takes too long to load. Besides speed, there are many other problems with pages generated by a CMS. So most websites are still hand coded using HTML. If your pages are generated by a CMS — like WordPress, Joopmla, Drupal — we recommend that you hire us to re-design your site — using HTML. More people will see your HTML pages and you will get more business. You will not be able to update your HTML pages by yourself — but they will not be full of spelling errors, punctuation errors, gramatical errors, and broken links. Our mission is to help entrepreneurs use internet marketing services to establish and grow their businesses. We believe that the best way to market your business online is to use other sites — especially popular sites — to drive people to your website — where they can learn more about what you offer and how to contact you. You have limited control over how your business is displayed on other sites — but you can control the layout and content on your own site. So you should make sure your own pages are include SEO, load quickly, and look professional. We recommend the best facilities that other sites offer to promote your business. They should include links to landing pages on your own website. Your own website should be a responsive HTML website. We develop landing pages that are optimized to convert your visitors into buyers. 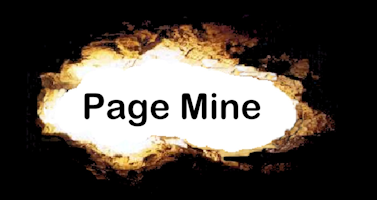 Ken Blunden owns and operates Page Mine. Ken worked his way through University by offering computer consulting services to the professors. After he got his Master’s degree in 1976, Ken worked for a variety of small and large businesses and in the public sector. In 1992, Ken started a U-Brew. Ken developed his first website for that business in 1996. Then he started developing websites for his friends’ businesses. And their friends’ businesses. Finally, in 2001, he started developing websites full-time. Contact Ken Blunden for your free initial consultation.